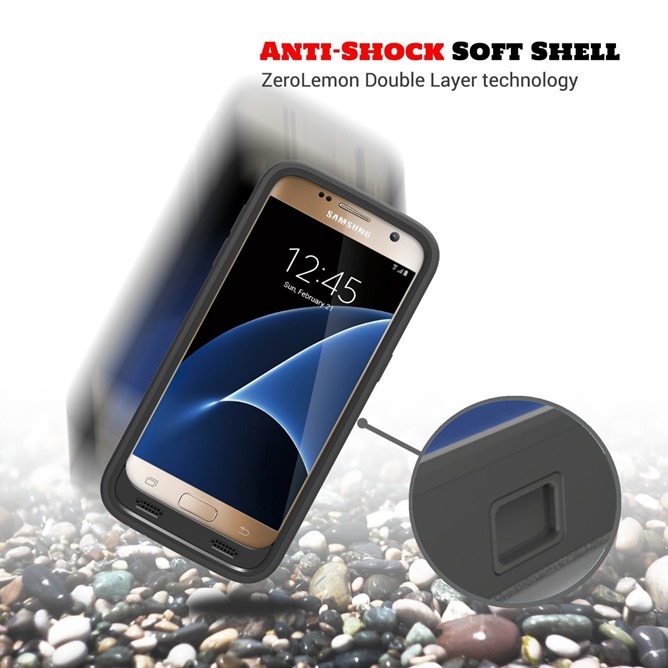 ZeroLemon gets a lot of crap for making gigantic, bulky, and somewhat less than attractive cases and extensions that dramatically boost battery life. But you have to admit, they've found their niche and perfected it - the company wouldn't be releasing new models for most major flagship phones if there weren't a lot of people buying them. 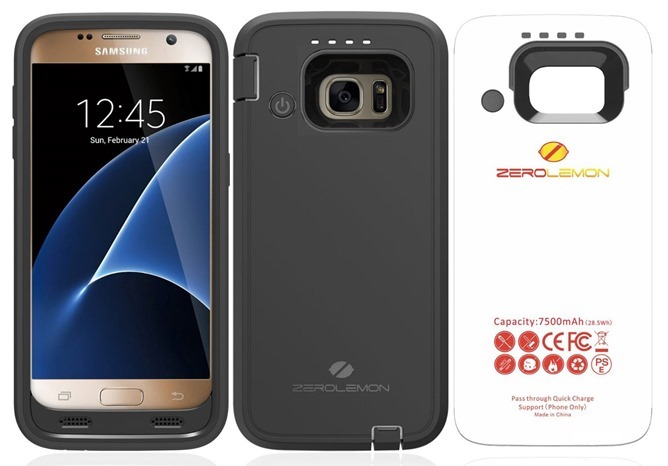 And so sometime after the fancier and larger Galaxy S7 Edge got the ZeroLemon treatment, now the standard model has a giant bulky plastic battery case all its own. 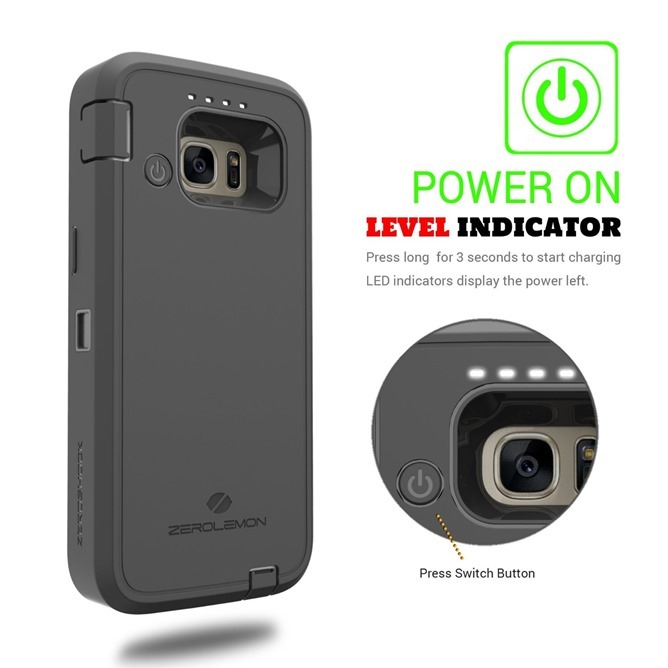 The 7500mAh battery-case is 2.5 times as capacious as the phone's internal battery (which still runs separately, unlike with an extended battery), so users can reasonably expect about triple the battery life when using it. 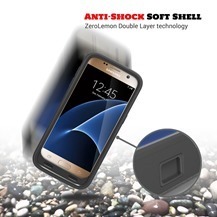 As with all Zerolemon designs, ports and cutouts allow access to important functions like the headphone jack and the rear-mounted pulse oximeter, while the case's separate MicroUSB port can charge through to the phone with quick charge capability, and the case can boost other gadgets with a cable in a pinch. 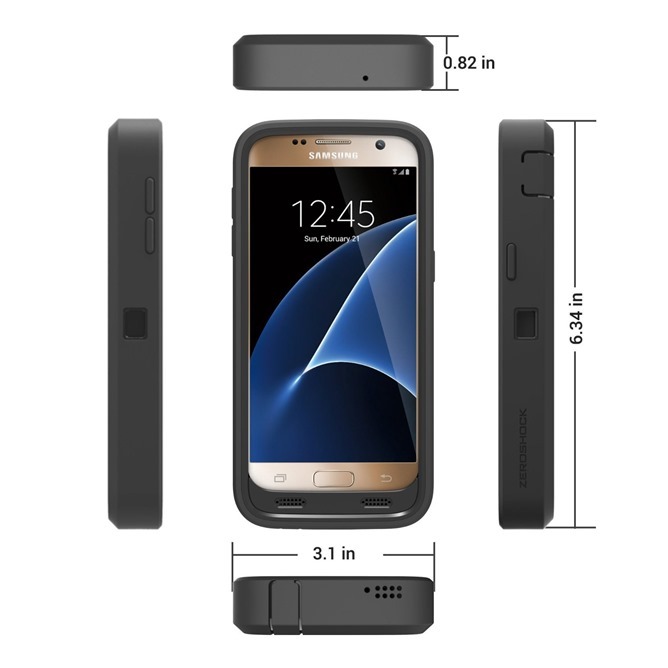 With the case applied to any Galaxy S7 model the dimensions balloon up to 160.02 x 78.74 x 20.32 millimeters, wider, taller, and more than twice as thick as the naked phone. 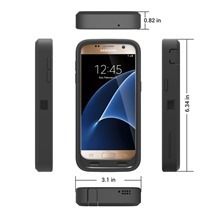 The extra bulk is particularly noticeable on a device designed to be relatively small. The ZeroLemon case is going for $59.99 on Amazon, with a 180-day warranty and unfortunately no Prime shipping.